During a summer trip to the parks, I spotted an unusual cart that I’ve never seen before, setup next to the Rivers of America. 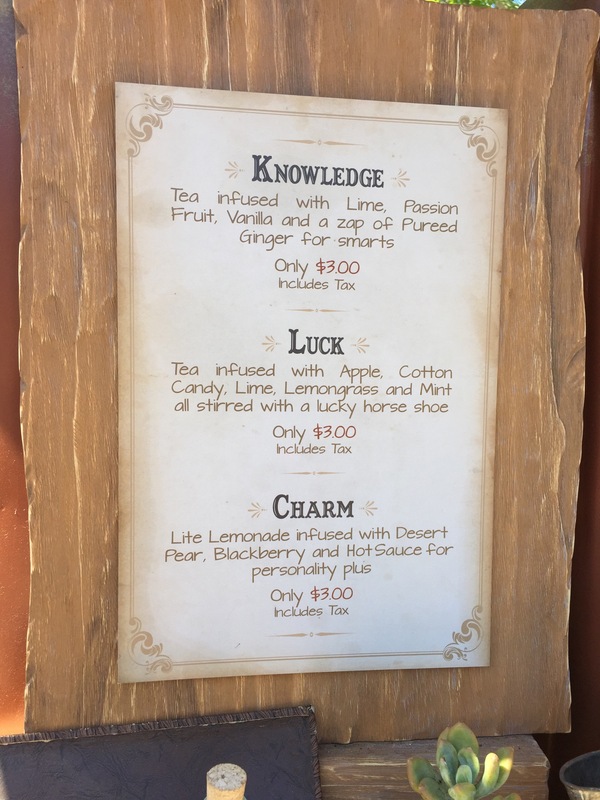 Come check out the unique drinks that were being served by the LB Enterprises drink cart. 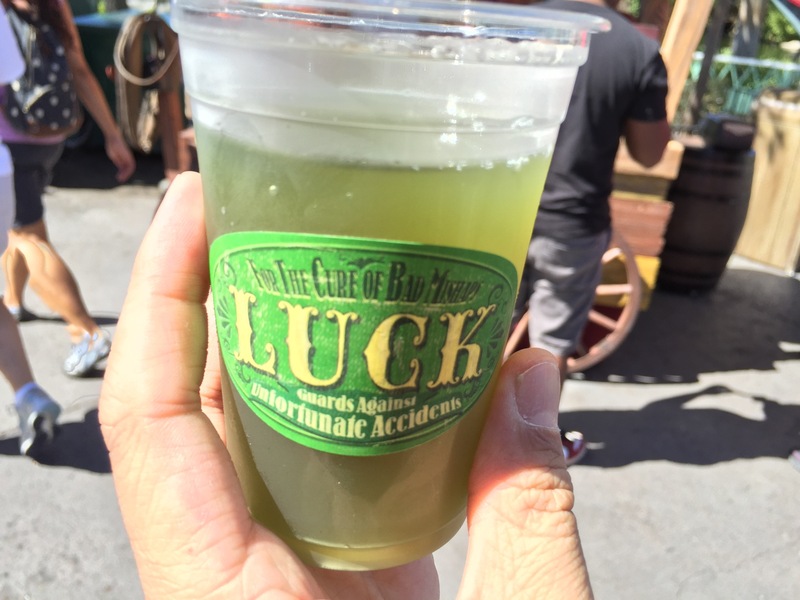 What caught my eye with the cart were the signs — the emerald-colored sign that promised “extraordinary elixirs” and the sky blue sign touting “powerful cold beverages.” On the hot day I was visiting, I was sold before I even caught a glance of one of the green colored drinks. 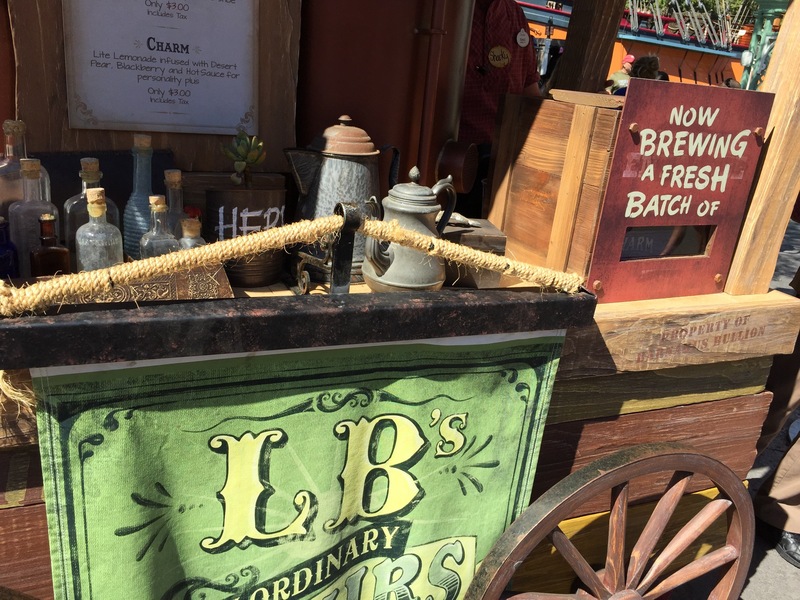 The cart was decorated with old-school vials, bottles, herbs, and kettles — all the equipment needed to mix these potions. 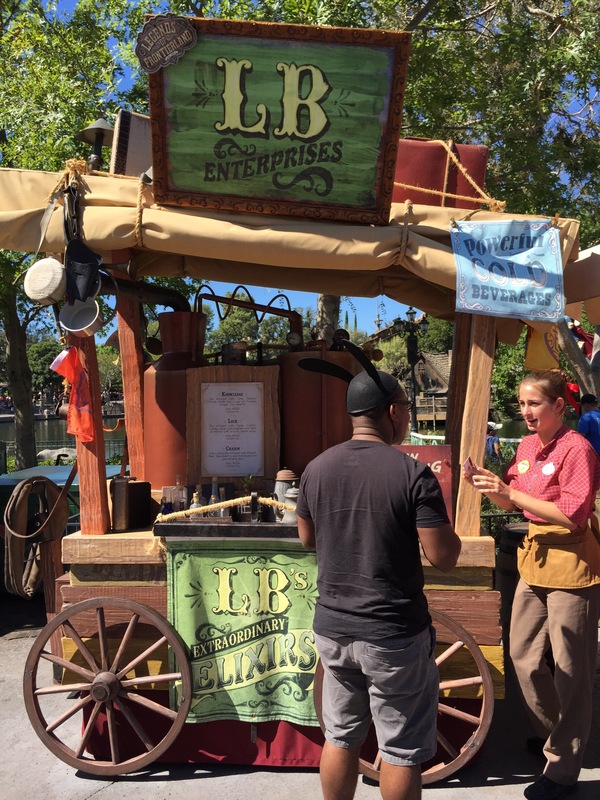 While waiting in line, my friend mentioned that this might be a limited-time cart tied to the Legends of Frontierland: Gold Rush game going on at the time. Interesting! However, sadly I could not confirm if this was true. 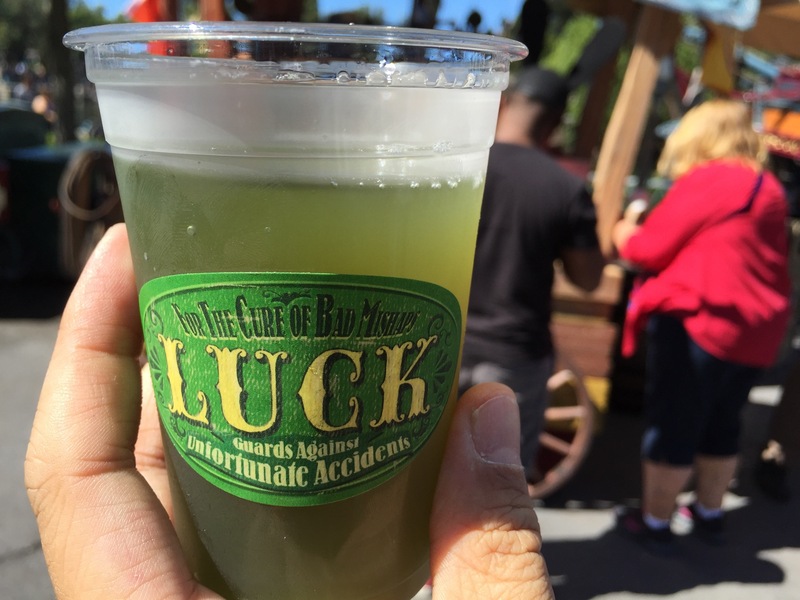 Instead, I chose the Luck elixir because of the apple, cotton candy, lime, and mint flavors. Sounded eerily similar to oh-so-popular mint julep, so I wanted to see how it compared. First off, for $3, a bit less than the mint julep, the portion was MUCH smaller. Looked like a 6oz cup! So this is not something you want to get if you need a lot of liquid for hydration. As for the flavor, it was very close to the mint julep with an added apple flavor. Think of the apple-flavored jolly ranchers and that’s how the drinks starts. Then the lime comes in and then ends with the mint. Not bad! Tasty but not something mind-blowing. So in the end, it was cool to try, but not something I’d tell my friends. You’d be better if sticking to a big cup of mint julep from the Mint Julep Bar window or Cafe Orleans simply because it’s a classic drink and a much better value. Still, I’m glad to see Disney testing out new ideas like this and giving us a chance to try them. Keep them coming, Mickey!